As seen on the streets of Rome… an explosion of green color! 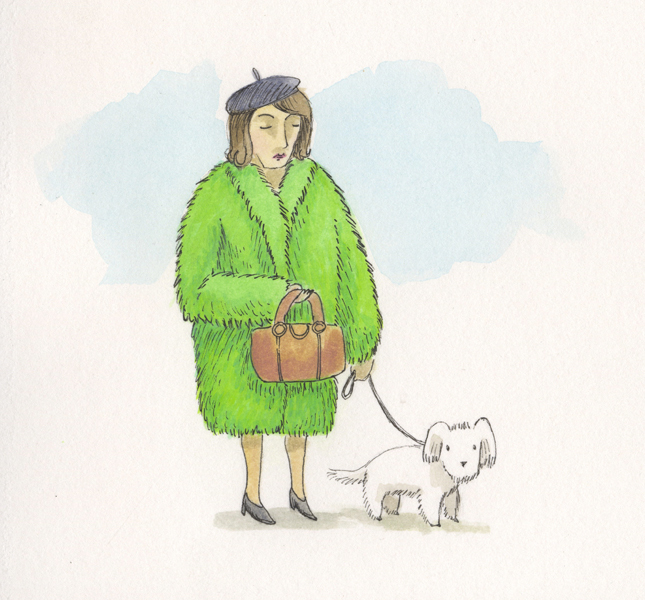 An older woman wearing a fluffy fur coat the exact color of AstroTurf and a fluffy white dog as accessory. This is my tribute to them.